YES! OK I was secretly hoping you would do a giveaway with this one. 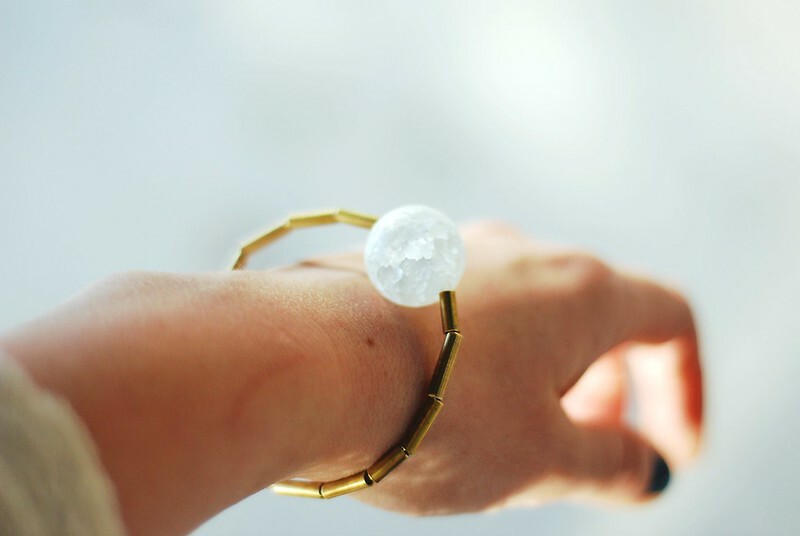 I would layer it with some of my silver bracelets--trying out the silver/gold trend. I would wear this with black skinnies and a black top. Oh and riding boots! I would pair it with my daughter's beautiful arm and a smile on her face. It is her birthday in two weeks, and she LOVES your work! I would wear this with a simple black oversized sweater, skinny jeans and ankle boots!